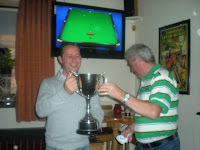 Last weekend we held the Micheal Conroy Perpetual Memorial Cup. The day was a great success with 23 fish caught and 30 fished. Thanks to all that fished and thanks to Dennis Dodd for a great evening and Brian and Judy for the entertainment. 3rd Eamon Conroy 7lbs 5oz. The club would like to thank all who attented the competition and the presentation a great day was had by all. 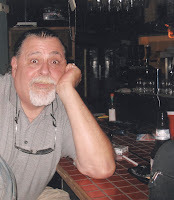 Special thanks to Dave in the Hydeaway for the lovely food and a great evening. To view more pictures of the evening click on the link below. 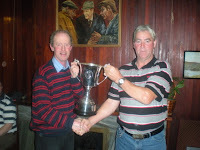 On the 18th of october 2009 the Boyle and District Angling club are holding The Michael Conroy Perpetual Memorial Cup on Lough Skeen, Ballyfarnon. Fishing from 11 am to 5 pm. Entries will be taken at the shore from 10 am, with entry fee €15. The presentation will take place in Dodds Crecsent bar Boyle at 9 pm. Dont forget the Paddy Kelly Perpetual Mermorial Cup this sunday 11th of october on Lough Gara starting at 11am. Further details below on this blog.